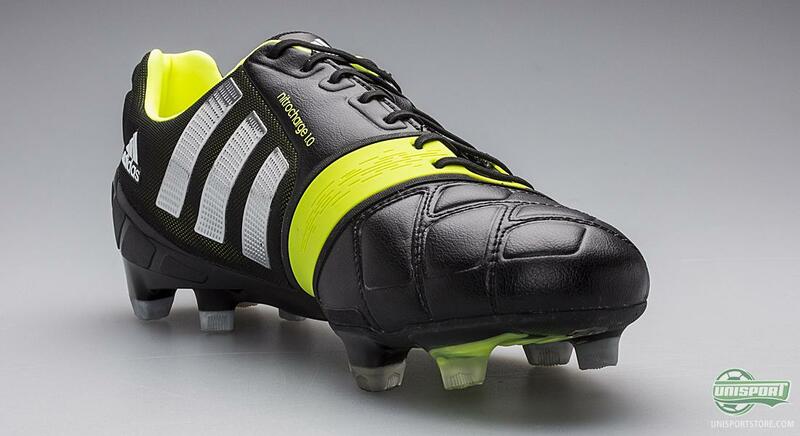 On the day where it is finally possible to order the Adidas Nitrocharge 1.0 Black/Electricity/Metallic Silver FG, the German boot specialists manage to spoil us a bit more. 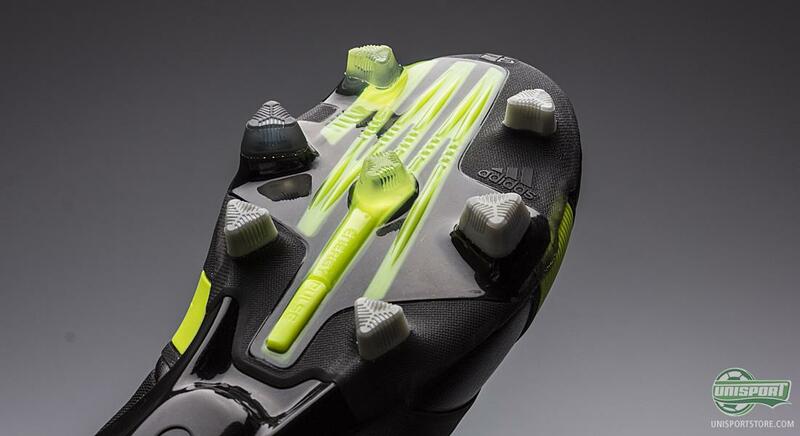 They give the launch colour some company with a new super sharp colourway made of more classic colours, that surely will be applauded by a lot of people. 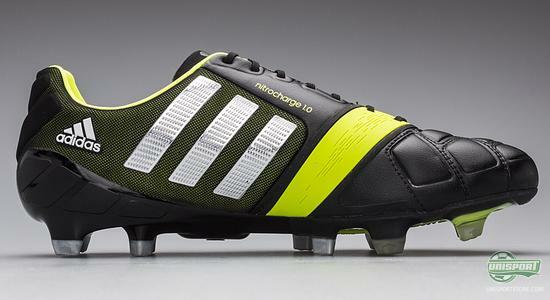 Black and white will always be the most classic colour combinations for a football boot and now Adidas celebrate the legendary colour combination with their latest edition of the Adidas Nitrocharge 1.0. 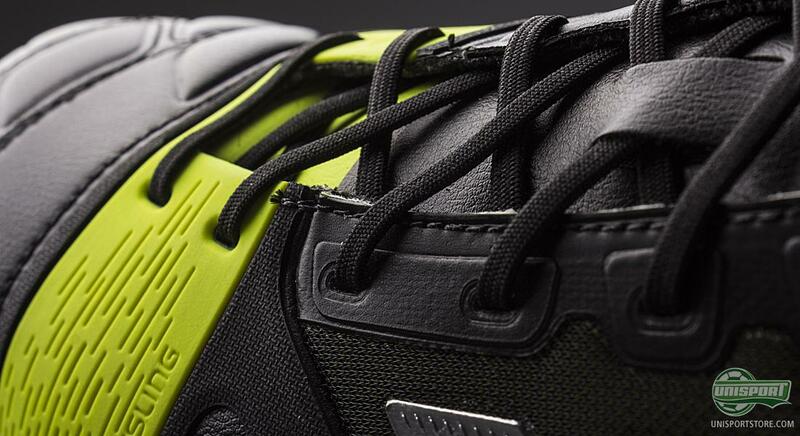 It does, however, still come with fresh twist and a nice contrast in the shape of the neon yellow Energysling that runs across the forefoot, but this is not just done for the sake of aesthetics; but more about that later on. 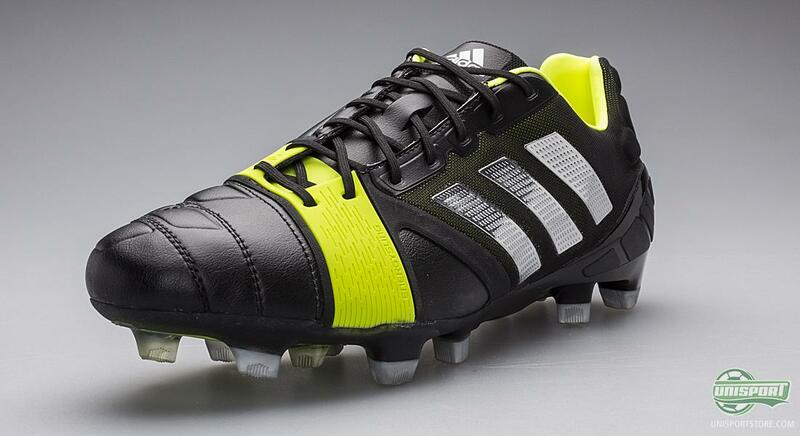 You can, already now, pre-order the Adidas Nitrocharge 1.0 Black/Electricity/Metallic Silver right here with expected delivery around the middle of June  just 167. 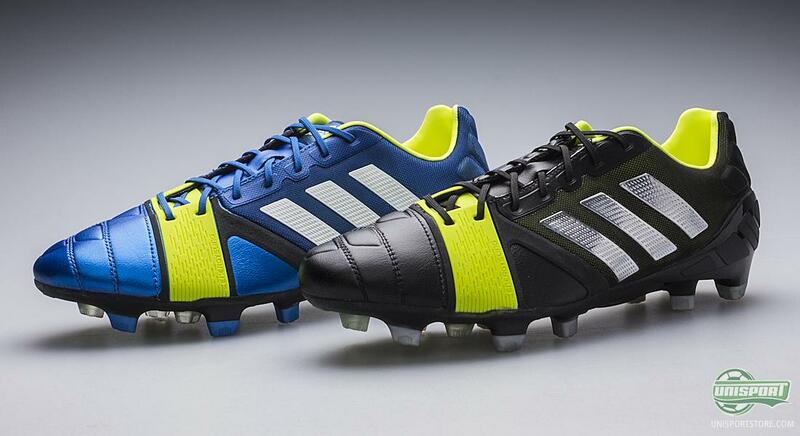 Adidas Nitrocharge 1.0 is without a doubt among the most exciting boot launches this year; so far at least. The boot is targeted towards a specific type of player, which Adidas have identified as #TheEngine; the motor of the team, who works harder than all the others for the 90 minutes. In this regard they have calculated a long range of numbers and zoomed in on a range of players that fit the profile, and this portfolio already include stars such as Ezequiel Lavezzi, Javi Martinez and Dani Alves, among others. 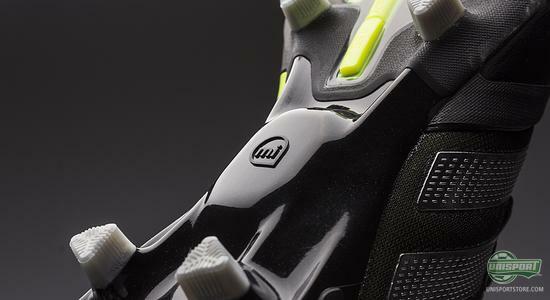 The boot is designed to provide the player, #TheEngine, more energy, hereby enabling him to perform better throughout the entire game. In addition, the boot also focuses on protection of the vulnerable areas of the foot, as #TheEngine is seen as a player who gets involved in many tackles. One of these areas is the heel, where Adidas have placed a range of elongate pads and raised the heel a little, to cover as much as possible and protect against kicks coming from the back. 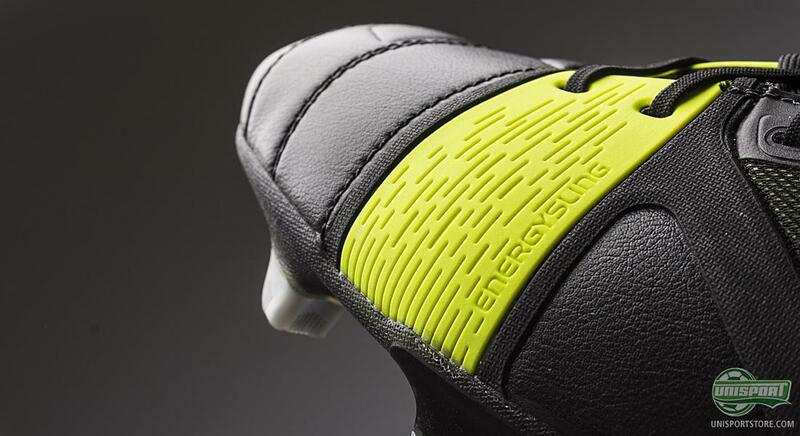 The most noticeable detail on the Nitrocharge 1.0 is the revolutionising Energysling, which runs across the midfoot and under the sole. It serves to keep your foot in place in provide a lock down effect, when you change direction. Hereby, your foot will not slide in the boot and your immediate acceleration will benefit, as no energy will be wasted, which is also the mantra of the boot. The boot will therefore be a little tight around that area, which might be something worth considering if you have wide feet. On the forefoot, Adidas have stuck with their Hybrid Touch material, which is a synthetic material that combines the benefits from natural leather with the benefits from synthetic. 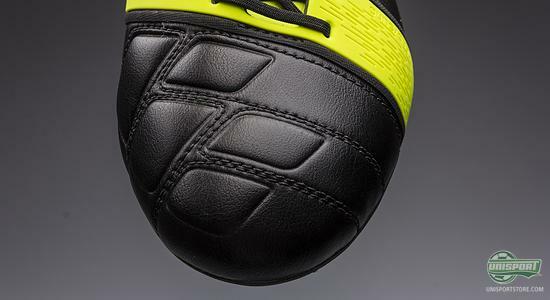 It ensures a good comfort and soft, natural touch on the ball, but it doesn't expand as much as leather, and is doesn't take in as much water, hereby keeping the weight down. 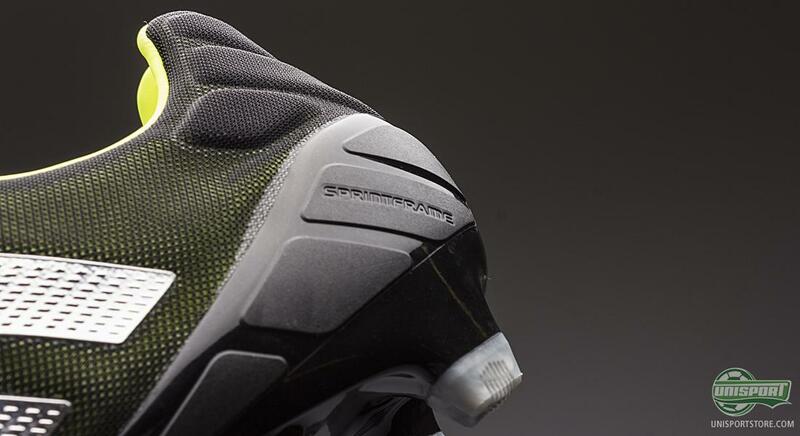 Furthermore, the stitching on the upper has been done in a way that creates a range of small pads, which create a dampening effect that also protect your foot when tackling. Just as you would think that Adidas would not change their well-known Sprintframe outsole, they have actually chosen to do so on the Nitrocharge 1.0. To underline it, it is a Sprintframe, but it has been given an update with their brand new Energypulse technology. 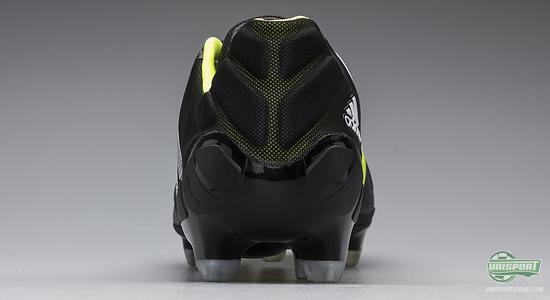 It is a very elastic and springy material, which is integrated into the outsole under the forefoot. It serves to provide you with extra energy for your immediate acceleration and it is something that you can really feel. According to Adidas, #TheEngine runs more than any other player on the team; and you believe that you run a lot, then you are now able to prove it. 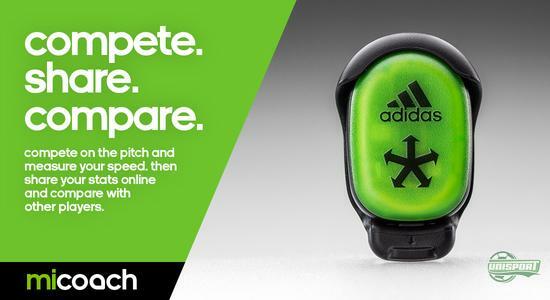 The Adidas Nitrocharge 1.0 is compatible with the exciting miCoach technology, which allows you to put a chip in the sole, which then collects, measures and analyses your data from a match or training session. Afterwards you are then able to hook up the chip to your computer or iphone, and read your top speed, average speed, number of sprints and much more. 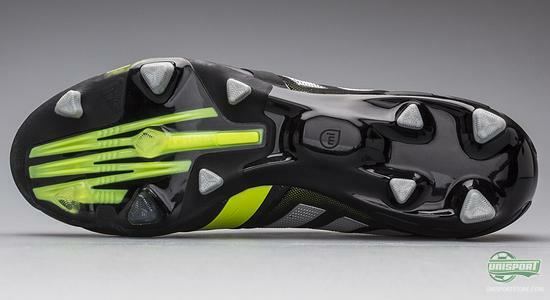 Although Adidas have changed the outsole, they have still stuck with their well-known Traxion 2.0 stud configuration. 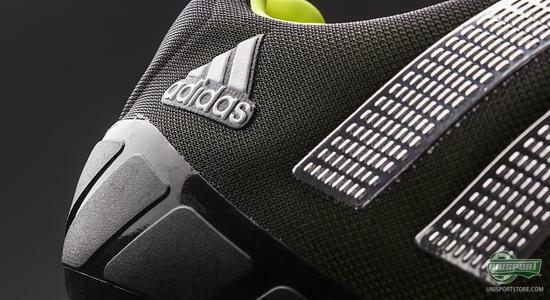 It is based on triangular studs that have been strategically placed in order to fulfil certain purposes. They each have a specific task, whether it be acceleration, direction change, or deceleration. It is a very good stud configuration, and you know the saying, if it ain't broken, then why fix it. The Adidas Nitrocharge 1.0 has now landed in two colourways and you are free to choose your favourite. Are you into the Blue Beauty/Running White/Electricity, or are you more of a Black/Electricity/Metallic Silver kind of person? Feel free to share your opinion in the comment box below and take part in the debate on Twitter and Facebook.